The Nathaniel Bowditch House at 9 North Street is the headquarters of Historic Salem, Inc., one of the nation’s oldest preservation advocacy groups. The Bowditch House has national significance as a National Historic Landmark. 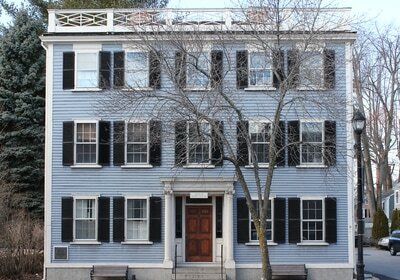 It is the historic home of Nathaniel Bowditch, famed scholar, mathematician, navigator and businessman, and author of The New American Practical Navigator, first published in 1802. This publication revolutionized the science of navigation and is still carried on board every commissioned U.S. Naval vessel. 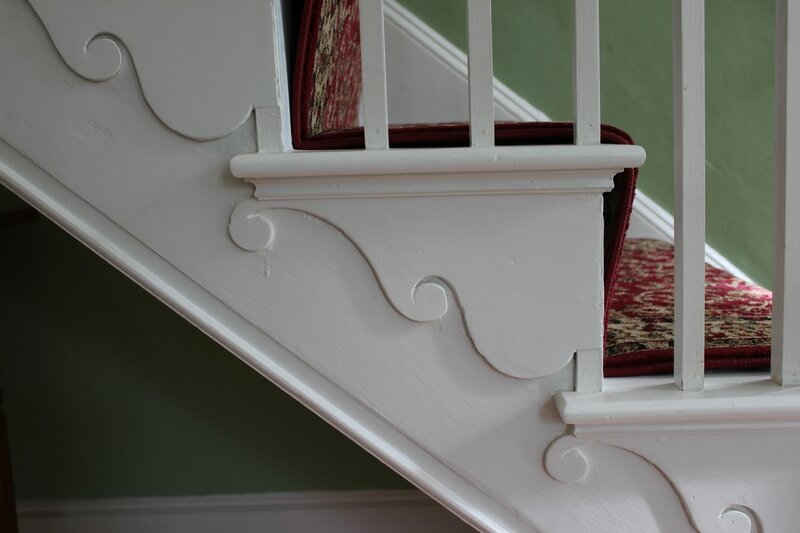 The architecture of the house showcases a combination of Chinese and Federal style elements that represent Salem’s global reach during the Great Age of Sail – and the ideals at the heart of the newly formed American Republic. The three-story Georgian house was built in 1759-60 with later additions in the Federal style. It was from 1811 to 1823 the home where Nathaniel and Mary Ingersoll Bowditch raised children who themselves became national leaders in medicine, law and social reform. Here Bowditch taught his children mathematics, geography, the beauty of the constellations, and the importance of service to the community. Subsequent residents included Joseph Osgood, Mayor of Salem during the Civil War years, and Dr. Kate Mudge, one of Salem’s first female doctors. In 1944, the City of Salem faced a preservation crisis prompted by the widening of North Street. To prevent the pending demolition of the Bowditch House and the Witch House (Judge Corwin House – built before 1675), a group of concerned citizens formed Historic Salem, Inc. They successfully both properties, moved these houses and completely renovated and restored the Witch House. Both properties were eventually turned over to the City of Salem. The Witch House became a revenue-generating tourist attraction for the City, a function that continues today. The Bowditch House was used for veterans’ housing after World War II and for municipal offices until 2000. In June 2000, with the support of Mayor Stanley J. Usovicz, Jr., the City of Salem deeded the Bowditch House back to Historic Salem, Inc. Work began immediately on restoring the house, preserving its historic character and preparing it for use as the headquarters of Historic Salem, Inc.’s preservation activities. The first stage of this renovation, the restoration of the exterior, was undertaken as part of a year-long collaborative celebration of the Bowditch Bicentennial in 2002 commemorating the 200th anniversary of the publication of Nathaniel Bowditch’s New American Practical Navigator. 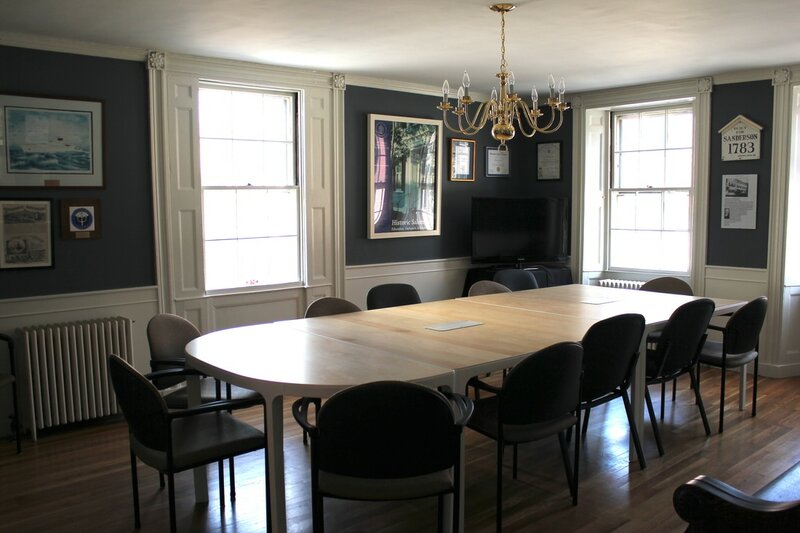 Historic Salem, Inc. currently has office space and a conference room on the first floor, which it uses for its preservation, education and advocacy efforts in the City of Salem, while also making the space available to other community groups. The second and third floors house leasable office space that helps support the maintenance of the building. ​Founded in 1944, Historic Salem Inc. is dedicated to the preservation of historic buildings and sites.